This study examines the effectiveness of Design for Manufacturing and Assembly (DFMA) methodology used by the design, manufacturing, quality, and supporting engineers for the development of the Longbow Apache Helicopter. Data were obtained through the Integrated Product Development (IPD) team for several redesigned areas of the Longbow prototype Helicopter Crew Station. Results of the study show that DFMA can be an effective approach, as indicated by a significant cost and weight savings. Design for Manufacturing and Assembly (DFMA) is a design philosophy used by designers when a reduction in part count, a reduction in assembly time, or a simplification of subassemblies is desired. It can be used in any environment regardless of how complex the part is or how technologically advanced this environment may be. It is gaining popularity where manufacturing costs are a concern. DFMA encourages concurrent engineering during product design so that the product qualities reside with both designers and the other members of the developing team. DFMA is utilized by hundreds of domestic and international companies in an effort to cut down concurrent manufacturing and assembly time. Domestic companies like Allied-Signal, Motorola, Hughes Aircraft, and McDonnell Douglas Corporation have already implemented the DFMA philosophy throughout their product lines. The DFMA implementation process may be done at two different stages: when a new design requirement is established or when an existing design requires product optimization, such as the case of the Longbow Apache Helicopter. At the initial design stage, the designer develops a simplistic conceptual design by envisioning an assembly that requires a minimum of parts to perform the requirements previously established, and is easy to install. In the second stage the designer redesigns existing assemblies or designs new assemblies in order to implement design optimizations to ease manufacturing, and installation. This also meets reliability and maintainability requirements, moving the design towards cost reduction and customer satisfaction. In order to maximize the benefits of DFMA the designer must have a good working knowledge of the manufacturing processes available, and process capabilities to produce the parts. The design and manufacturing elements must work closely to determine the best manufacturing approach. A review of the State-of-the art manufacturing processes which increase the effectiveness of DFMA provides a means to understand this synergism, as well as the availability of Statistical Process Capabilities (SPC). HSM was the primary tool used by the DFMA process in the airframe structural design area. It can be defined as the act of machining at speeds higher than 10,000 RPM. A High Speed Machine is a manufacturing tool that, when used in a DFMA environment, allows part count reduction by providing the machining capability to rapidly create complex geometrical parts normally designed with many mechanically fastened sheetmetal parts. HSM supports DFMA with the utilization of improved machine cutting spindle technology which has created spindle speeds of 24,000 to 40,000 RPM. It combines rough and finish machining of material into a single machine operation. It reduces heat buildup and thermal growth allowing stable machining operations and close tolerance features. It has been so successful that it is currently used by McDonnell Douglas Aerospace on several on-going aircraft programs, including the F/A-18 E/F Avionics Shelf, and Aileron Closure Rib , the T-45 Nose Landing Gear Door, and C-17 Cargo Floor Ramp. With its application, complex assemblies are converted into simple part assemblies reducing part count and simplifying the assembly process. Reducing parts count cascades into savings in other areas. For example, it reduces part cost, fabrication and assembly time, and reduces tool design and fabrication costs. The tooling manufacturing process can be eliminated since the designs are transferred directly from a computer aided design system model like Unigraphics II (UGII), to the high speed machine itself, representing a major saving. This is for the Numerical Control (NC) and the Coordinate Measuring Machine (CMM) programming. Additionally, it improves quality, provides design flexibility and reduces weight due to the absence of fasteners. Composite design helps in the assembly process since it can help in minimizing the number of parts by combining several parts into one. The assembly time is reduced benefiting manufacturing in a similar manner to HSM. However, this manufacturing process is labor intensive due to the time it takes to set all the plies that build up the thickness of a part. Each ply must be cut to shape, stacked up, and then bonded together with adhesive at a later time as it is cured in an autoclave. It also creates the need for expensive tooling, since tools are used to form and shape complex parts. Tool wear and tear is another problem encountered in the composite manufacturing process, caused by the frequency of tool usage. Composites are more susceptible to damage and ply dilamination due to humidity, creating costly future repair problems, depending on where and how they are used. Superplastic forming (SPF) is the process in which a specific type of aluminum alloy, aluminum 2004 for example, is formed by blowing hot air against a sheet of metal, and over a tool inside an oven in order to shape the metal into the part's configuration. An advantage is the low part rejection since there is virtually no tool wear. Complex parts are simplified by integrating auxiliary parts into one part. Compound curvature shapes are also made possible since metal is formed at its plastic point. However, SPF is limited to small parts due to oven size limitations. DFMA has already proven to be a savings tool as used by McDonnell Douglas Corporation in the military and commercial divisions. In the military division, significant savings have been obtained in the F/A-18 C/D Bay 4R shelf; savings of 84% in the number of parts, 73% cost, 11% weight, and 89% assembly time. In the conversion of the F/A-18 C/D into F/A-18 E/F there was a part count reduction from 1,744 to 1,048. In the commercial division; the MD-11 cargo liner had cost savings per aircraft of $86,000, the MD-11 #2 Bulkhead had cost savings of $4,000. In general the part count reduction done by McDonnell Douglas has been in the range from 36% to 96% on several of its aircraft component assemblies. In the development of the Avionics upgrade on the U.S. Army's A Model Apache Helicopter, McDonnell Douglas Helicopter Systems (MDHS) utilized all design and manufacturing tools available. DFMA was one of these tools. 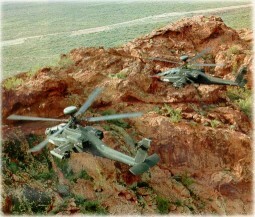 DFMA was used on the AH-64D helicopter (Longbow) Program along with three auxiliary tools: High Speed Machine (HSM), composite design, and Superplastic Forming (SPF). HSM and SPF were used in the airframe structure design and composites in the Environmental Control System (ECS). During the engineering development of the Longbow Apache Helicopter, MDHS found that traditional design methods would not provide adequate support to the challenging budget and schedule. New design methods had to be obtained and implemented in order to support the program objectives. For over 500 companies worldwide, DFMA has become a vital design tool in their effort to compete in domestic and world markets. The data collected from published literature on over 50 case studies conducted by McDonnell Douglas at its St. Louis plant, outlines the power of the DFMA methodology. Some of the results are: reduction in manufacturing cycle time, part count reduction, part cost reduction; time-to-market improvements; quality and reliability improvements; reduction in assembly time. According to Geoffrey Boothroyd, Professor of Industrial and Manufacturing at the University of Rhode Island, the practices now known as Design for Assembly (DFA), and Design for Manufacture (DFM) had their start in the late 1970's at the University of Massachusetts. Of all the issues to consider, industry was most interested in Design for Assembly. When developing a product, the maximum potential cannot be achieved without considering all phases of the design and manufacturing cycle. DFMA meets this demand by addressing key assembly factors before the product goes on to the prototype stage. These key factors are the product appearance, type, the number of parts required in the product, and the required assembly motions and processes. Based on the success of DFMA to reduce cost and time on other programs, it follows that its application to the Longbow Apache Modernization Program should have similar savings. Utilizing DFMA for the design of the Longbow Apache crew station will reduce part count, manufacturing time, and assembly time, all of which help to reduce cost. The simplification of assemblies and reduction of fasteners will also reduce weight in the crew station area. During the years of 1994 and 1995, MDHS redesigned and optimized one of the six Longbow prototype helicopters. An Integrated Product Development (IPD) team was formed to conduct this redesign. The IPD team is a concurrent engineering team where representatives of several organizations such as engineering, manufacturing, procurement, suppliers, product support, quality, and others, work together to develop a product design. This design is then brought into production in a short period of time without the budget and lengthy schedule usually encountered by other organizations without a team concept in place. Six helicopters were completed in the prototype phase and the experience obtained from this phase was applied to the Longbow Initiatives Project. During this project, Design and Producibility Engineering and Planning (PEP), which was developed and implemented with the purpose of improving the previous prototype aircraft configuration used DFMA as an aid to accomplish that established objective. DFMA was applied to a limited number of parts within the crewstation, and the Improved Extended Avionics Bay (IEFAB) of the Longbow Apache Helicopter. Data were gathered and recorded by the IPD Team and compared to the baseline prototype helicopters which were designed without using DFMA. Each DFMA case study was conducted by redesigning existing assemblies. The IPD team met and analyzed its requirements, including material, function, and location of parts. Once a preliminary design was done, the team studied it in order to reduce the part count, weight, and assembly time. Data was obtained from each IPD team member that was involved in the DFMA process. Their estimates, tables and schedules were analyzed. All data that could be found relating to DFMA applications on the Longbow Apache Program including: producibility analyses, design concept descriptions and lists, weight data analysis, schedules based on the design and manufacturing plans, cost estimates, and detailed DFMA plans on at least four assemblies, were used to assess the impact of DFMA. Data were collected and summarized as they were made available by the IPD Team. Collected data were loaded into the Boothroyd Dewhurst Inc.'s (BDI) DFA 7.1a software. This software analyzes the design, manufacturing, assembly process, and materials used. It then summarizes and provides recommendations on how to improve the design using DFMA philosophy. The first assembly examined is the Pilot's Instrument Panel which is comprised of a combination of sheet metal angles and extruded stiffeners. The panel itself is attached to an existing airframe structure with rivets. It consists of 74 parts with a weight of 3.00 Kilograms. The fabrication time for this instrument panel is 305 hours. This panel also requires a final assembly tooling fixture in addition to tooling needed to form all brackets and angles. Utilizing DFMA in conjunction with the IPD Team concept and availability of HSDM, resulted in the redesign of the pilot's instrument panel, into only 9 parts. Subsequent analysis yielded data indicating that the fabrication time could be reduced to 20 hours. The total manufacturing and assembly time would be reduced from 697 hours to 181 hours, weight reduction would be to 2.74 Kilograms, and the total cost was reduced by 74%. The pilot's instrument panel DFMA concept is shown, and Table 1 provides a summary of the estimated comparison for the Pilot's Instrument Panel. In addition, data were obtained for three other areas: The Co-Pilot Gunner (CPG) instrument panel was a good candidate for DFMA due to its assembly complexity, number of parts and rivets required to assemble it. It included the Up-Front Display (UFD) tray and the Multifunction Display (MFD) tray. These last two sub-assemblies of the CPG instrument panel made it very difficult to assemble and require extensive labor for the assembly activity and the final installation. The total original part count was 87 parts. Presently it has been reduced to 12 parts, where 7 are machined parts and 5 are sheet metal/composite parts. The original instrument panel is a combination of sheet metal parts representing more than 90% of the total parts and a few machine parts being fastened mechanically. Bench tooling is required to perform the sub-assemblies of the UFD and MFD trays, making the task very difficult. The BDI software does a complete analysis of all the tasks required, providing a summary of results. A general overview of how long and how much it takes to build and assemble specific components or parts is done. Also, an analysis profile is provided with suggestions to improve the current design. This software is used by the manufacturing team members to estimate and predict the savings that can be obtained. Data are entered and the system does its analysis in different areas. A complete listing of all the activities required to perform an assembly, including the count of tasks, figures the minimum items required for assembly, and the item(s) cost. This provides a complete overview of the task to be performed. The BDI software does an assembly analysis profile on a set standard format where it theorizes the number of tasks to be performed, fasteners required, connectors to be installed, candidates for elimination, acquisition of items not in reach or on stock, acquisition of tools not on hand, standard operations, library operations, and reorientations. After all these activities are numbered and plotted, it automatically provides suggestions for improvement. The system provides suggestions for design and for assembly, by giving instructions, and indicating every task with its time saving, and its percentage reduction. It indicates specific instruction to perform the related tasks in order to obtain the suggested savings. It also lists, under what is called Design for Assembly Analysis Totals, all the parameters used for the analysis such as total assembly time, total assembly cost, total assembly weight, number of parts and sub-assemblies, theoretical minimum number of parts or unanalyzed sub-assemblies, and the hourly labor rate. All the suggestions and comments included within the computer generated tables are automatically provided to aid the designers and manufacturing engineers to obtain a better view of the job. Design for Assembly Suggestions for Redesign provides detail analysis of the UFD Tray Assembly (-13), MFD Tray (-57), MFD Tray (-49), Bracket (-119), Closeout Assemblies (-29 and -31), UFD Tray Assembly (-3), and Tee (-125) which are installed on the copilot's instrument panel, and the pilot's instrument panel. It gives suggestions for hardware reduction such as rivets by incorporating integral fastening elements into functional parts, or by doing a different securing method. Part reduction is recommended by combining parts with others. Hardware can also be reduced by the addition of chamfers, lips, leads. Assembly redesign is suggested to provide unrestricted vision for Bracket (-119), Closeout Assemblies (-29 and -31), UFD Tray Assembly (-3), MFD Tray (-57), and MFD Tray (-49). Detailed time saving and percentage reductions are provided. There was a considerable cost, weight, and schedule savings of approximately 74%, 8%, and 74% respectively in the areas where applied. There are many lessons from which the aircraft industry and, in this case, MDHS can fruitfully benefit. From the experience of other companies, it seems that various attitudes and practices must be nurtured for DFMA to be fully implemented. Many commercial companies attribute their world-class competitiveness to DFMA. John Deere and Company says, "the first companies to implement DFMA will be the leading world-class competitors, the last companies to implement DFMA won't have to worry about it." So, applying DFMA can help make MDHS a world-class competitor in the helicopter manufacturing industry, adopting a trend that has already been started by McDonnell Douglas in St. Louis and that has proven to be very successful. The utilization of DFMA has not been extensive. Indications are that DFMA can successfully contribute when cost, weight, and schedule are the prime drivers for the development of a program. It is suggested that DFMA has been successful in the Longbow Apache Program, even though its utilization was limited to a few components only. If it could have been used across all the design activities, it would have been more helpful in reducing the parameters indicated previously (cost, weight, and schedule). The part count was reduced by 87%, the fabrication time was reduced by 93%, assembly time was reduced by 94%, the weight was reduced by 10%, and the cost was reduced by 74%. Training is a must. DFMA could be more successful if all the team members understand what it is about and what are the ultimate goals. The management commitment to DFMA can bring the success of the Program by making the decision on educating the employees. It is understood that every professional individual possesses a basic training and that it will give an easier transition towards the goal of the project, but, if these professionals are not provided with the adequate tools, the success of the program could be in jeopardy. That is why training is a key item for the success of any program. It is clear that for DFMA to be effective, the design team must understand the capabilities of the production process that will be used to produce their parts and set requirements within those limits. During the course of this study it was found that the Design for Manufacturing and Assembly utilization by the aircraft industry can present great advantages. Still, there are areas that could not be covered due to the study's scope. Areas like designing for disassembly where designs also consider the future dismantling of assemblies for environmental purposes. DFMA was applied on structural, and ECS designs only, but it can also be used in areas like flight controls, engines, transmissions, hydraulics systems, and electromechanical components used to house and support electrical and avionics components. These areas have not been studied, and may be topics for further future studies. Implementation of DFMA is not an easy task. It takes the correct attitude in order to successfully use it and overcome all barriers created by people used to work under a different approach. Additional study in this area may be beneficial. For a successful DFMA implementation, more management participation and concern are needed, as well as providing more empowerment to the different team members so that they consider themselves as participants in the development of the program as any others within the organization. Management involvement and commitment may be a good topic for study, given the results and successes of DFMA implementation in the general and aircraft industry. A closer look at process business reengineering tools should be considered. Dimensional Management (DM) is one of the tools that can help this process. DM is an analytical and quantitative approach used to manage assemblies through disciplined techniques such as the proper identification of control datum, prediction of allowable variation, definition of key interface characteristics (KC), part count reduction and/or clearly defined product acceptance criteria established early within the product definition life-cycle. While listening to the voice of the customer, DM can provide a set of associative concepts and structural tools utilized within a disciplined Integrated Product Definition (IPD) process that establishes product characteristic requirements that ultimately yields ease at assembly, driving reduced operating costs and a reduction in non-conformance parts and tools. The author wishes to express that the views and findings are those of the writer and in no way intended to reflect the official opinion of McDonnell Douglas Helicopter Systems (MDHS).